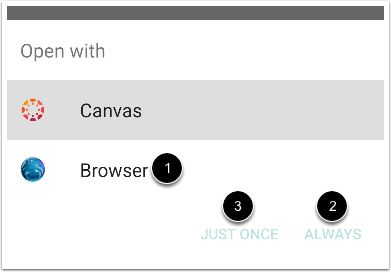 You can access Canvas from any browser on your Android device. However, for the best user experience, you should view Canvas via the mobile app for Android devices. Please note that mobile browsers are not supported by Canvas, and features may not function as expected compared to viewing Canvas in a fully supported desktop browser. 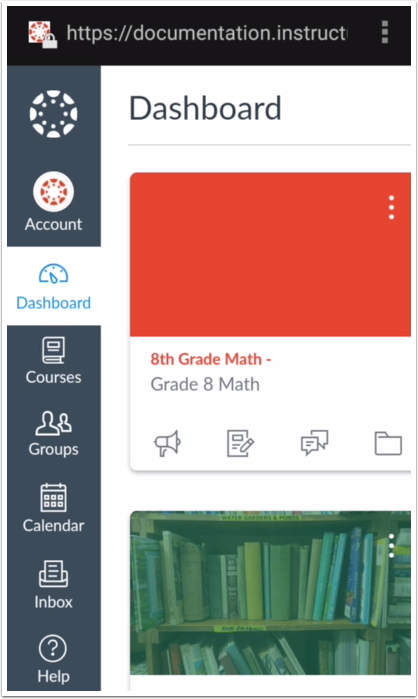 Canvas pages within a mobile browser are only supported when an action in the app links directly to the browser, such as when a student takes certain types of quizzes. Support is not extended to pages that cannot currently be used in the app, such as Conferences or Collaborations. Tap the icon for your preferred mobile browser. Note: Mobile browser options will vary per Android device. 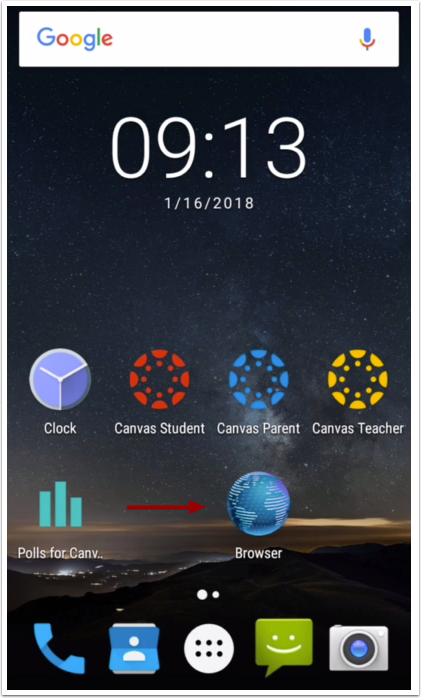 If you already have the Canvas app installed on your device, a pop-up window will appear asking you whether you want to open Canvas using the Canvas app or the Internet. 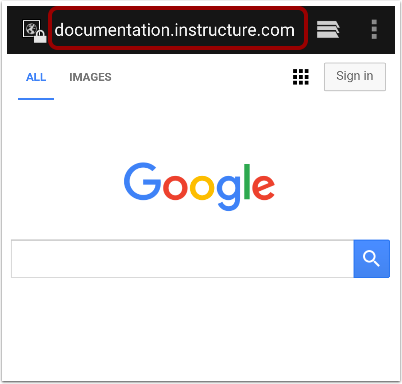 Tap the icon for your device's default internet browser . To have your device never ask again and always open to your browser, select the Always button . If you regularly use the Canvas app and only want to use your browser sparingly, tap the Just once button . 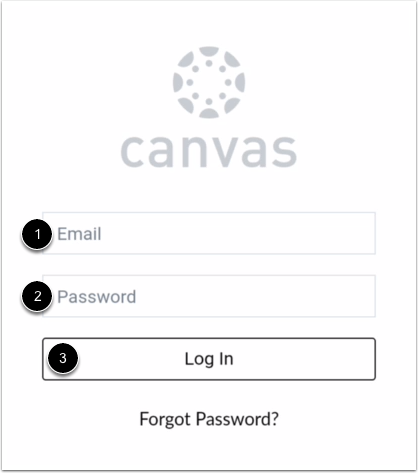 Enter your Canvas login credentials in the email  and password  fields. Tap the Log In button . You can interact with Canvas as you would on the regular web version of Canvas. Next Topic:How do I access Canvas using a mobile browser on my iOS device? Table of Contents > Mobile Features > How do I access Canvas using a mobile browser on my Android device?